Two key officials at the British Columbia Legislature have been placed on indefinite leave over what an official says is a criminal investigation. 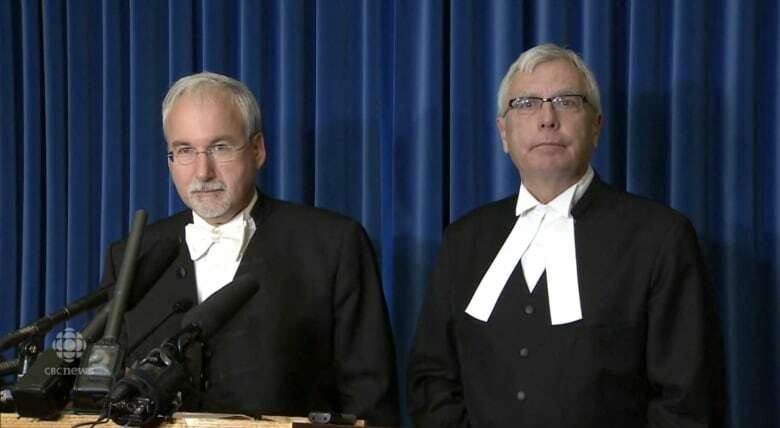 NDP House Leader Mike Farnworth told the legislature that both Clerk of the House Craig James and Sergeant-at-Arms Gary Lenz were being put on leave while an investigation took place. "It would be inappropriate at this time to say any more because we do not want to jeopardize any investigation of the RCMP that's ongoing," he said. Mullen also said the house leaders of all three political parties in the legislature agreed on the decision. At a news conference that had been arranged earlier in the day for an unrelated matter, B.C. Premier John Horgan was peppered with questions about Lenz and Craig. The premier said he was briefed about the "shocking" situation on Monday, but said he didn't know any further details about the investigation. The B.C. Prosecution Service said in a statement that it has assigned two special prosecutors to the case "to provide legal assistance and advice" to Mounties. It said due to the possible "size and scope" of this investigation, two prosecutors were appointed: David Butcher and Brock Martland. Butcher has previously served as a special prosecutor in other politically charged investigations in B.C. : a probe into alleged campaign fundraising violations by lobbyists and the "quick wins" election scandal. Martland was previously the special prosecutor in the case of an elected B.C. First Nations chief charged with sexual interference. The prosecution service, an agency of the province's attorney general, appoints special prosecutors in select cases where there is the chance of "real or perceived improper influence in prosecutorial decision making." As he left his office with personal belongings in hand, James told reporters he did not know what the investigation was about, that he was informed he was being placed on leave as Farnworth told the legislature, and was obtaining legal counsel. "Somebody knows something, and I think out of the fairness principle [we] should be informed before we're placed on administrative leave, exactly what it involves," he said. "I think it's very unfair, and very unfortunate, and very disappointing." James and Lenz walked out of the legislature separately and left the parking lot together in a vehicle driven by Lenz. The clerk of the house gives non-partisan advice to the Speaker and can be consulted on procedural matters, as well as maintaining a record of all the legislature's proceedings.